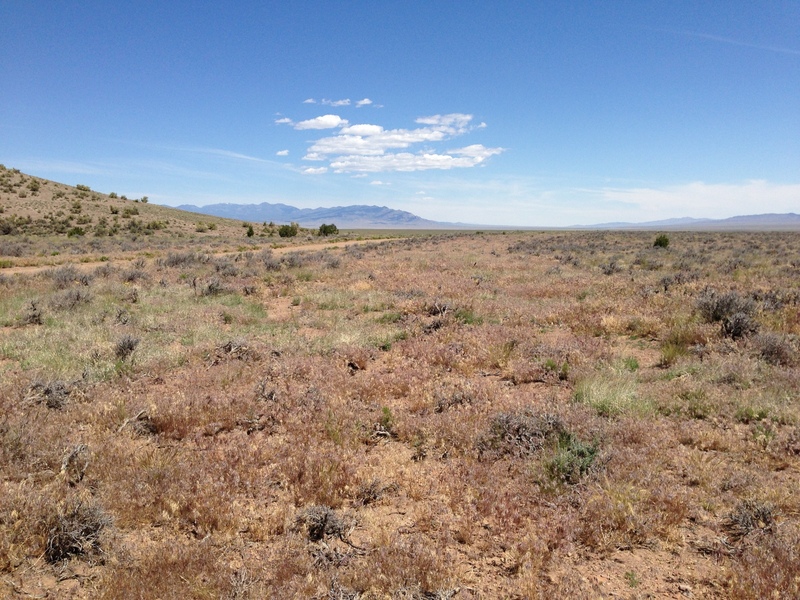 In early June, Katie Fite and I visited southeast Nevada to examine the results of past vegetation treatments meant to “restore” sage grouse habitat in the Schell Field Office of the Ely District BLM. What we found was quite astonishing. 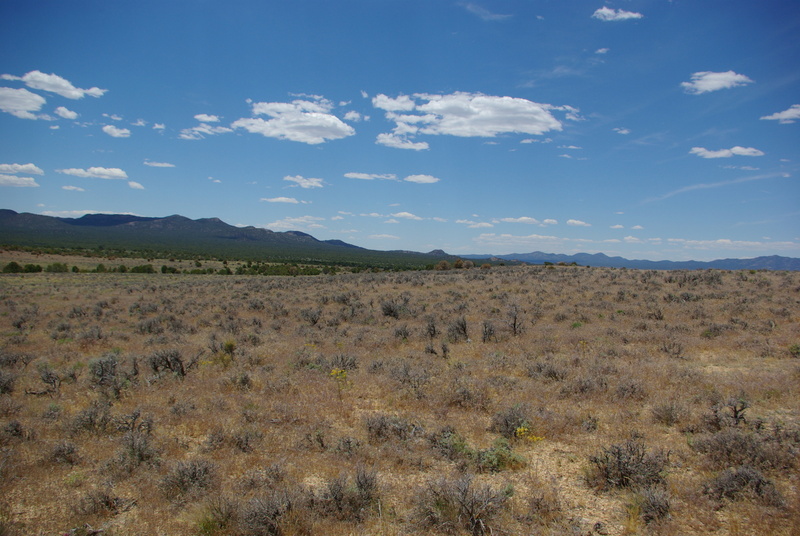 Rather than restoring sage grouse habitat, the BLM targeted the best sage grouse habitat, near leks, that existed in this southernmost range of the greater sage grouse and turned it into a wasteland filled with cheatgrass. The project under which these treatments were conducted was called the “Lincoln County Sage Grouse Habitat Restoration Project” (LCP). The proported intent of this 2008 project, as can be seen from its name, was to “restore” sage grouse habitat but the results were devastating to sage grouse. It is apparent that these kinds of projects are designed more to benefit livestock interests than sage grouse or pygmy rabbits. The implementation of this plan would occur through improving sage grouse habitat quality by restoring approximately 9500 acres of marginal sage grouse habitat at sites with high restoration potential within a 5 km buffer zone of active sage grouse leks. Marginal habitat is characterized by poor nesting, brood rearing and foraging areas. There are large areas of decadent sagebrush with little or no understory vegetation in the project area. Replacement of native vegetation by invasive grasses has detrimentally affected habitat quality in previously suitable areas. Sagebrush establishment has also caused decreases in perennial grass cover and forb composition that in turn has reduced habitat diversity and condition in some areas. For these reasons the goals of the LCP include maintaining and improving existing sagebrush habitat, maintaining or increasing sage grouse populations, and restoring sagebrush plant communities (Clifton, et al., 2004). Notice that the reason they give for the decrease in perennial grass cover and forb composition is due to the establishment of sagebrush. This is silly. First, in many of the areas that we visited, adjacent to the areas that were treated in this ill-conceived plan, had some of the best understory cover in the whole landscape, particularly forbs, and a good indication of quality habitat was the fact that there were still active sage grouse leks. Second, the primary cause for reductions in these components of sage grouse habitat is not sagebrush, but livestock grazing. Livestock target the perennial grasses and forbs. Another thing to note in the rationale for this project is that the sagebrush is “decadent”. This goes back to the contempt that livestock interests have for any woody vegetation that cattle or sheep don’t eat. “Decadent” is a derogatory term used by livestock interests to distract people from observing the many age classes of sagebrush readily seen in these habitats. Upon examination of these landscapes, particularly near the treatment areas, there is a diversity of sagebrush age classes. The LCP “treated” the sagebrush adjacent to active leks by mowing sagebrush, which killed it, or applying Tebuthiuron, an herbicide that kills much more than just the woody vegetation that they claimed to target. 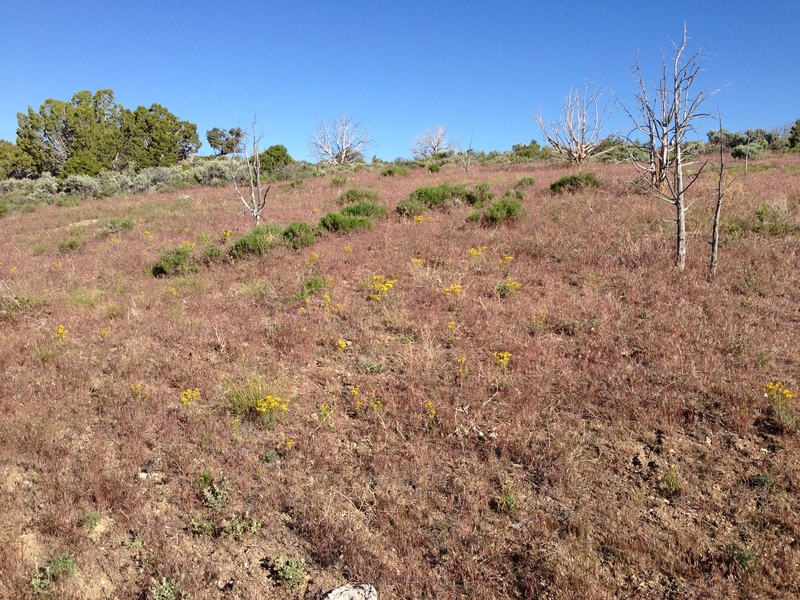 As we have repeatedly seen, when sagebrush is killed cheatgrass explodes after about 5 years post “treatment”. This is exactly what happened here, and exactly what should be avoided when dealing with sage grouse and pygmy rabbit habitat. In-other-words, the habitat was destroyed rather than restored. All habitat value disappeared from these areas that had little to no cheatgrass present before the “treatment”. Cheatgrass response to prescribed fire in pinyon/juniper forest, southern Steptoe Valley, NV. Cheatgrass response to mowing in sagebrush, Hamblin Valley, NV. Cheatgrass response to Tebuthiuron treatment, Lake Valley, NV. Below are a series of videos showing the impacts of the LCP treatments. The primary reason we conducted this visit was because the BLM has just approved a new plan which inflicts similar destruction on 145,000 acres in Cave Valley and Lake Valley. The Cave Valley and Lake Valley Watershed Restoration Plan is to “restore” habitat to Fire Regime Condition Class 1 (FRCC). FRCC is a model that was developed for forested landscapes to determine whether a forest has departed from the natural fire regime, it is not suited for use in grasslands or rangelands. Further, when a treatment results in greater cheatgrass abundance, it increases fire frequency, pushing it to FRCC 3 (see Mapping the Cheatgrass-Caused Departure From Historical Natural Fire Regimes in the Great Basin, USA). This is exactly what occurred with the previous LCP treatments and it is exactly what will happen with the new treatments. On June 14, 2013, Western Watersheds Project (WWP) filed a lawsuit in Federal Court as a companion case to our ongoing Resource Management Plan (RMP) case against the BLM over 16 RMP’s in sage grouse habitat. The first two RMP’s litigated, the Craters of the Moon, Idaho RMP and the Pinedale, Wyoming RMP were found to be unlawful due to their weak protections for sage grouse. 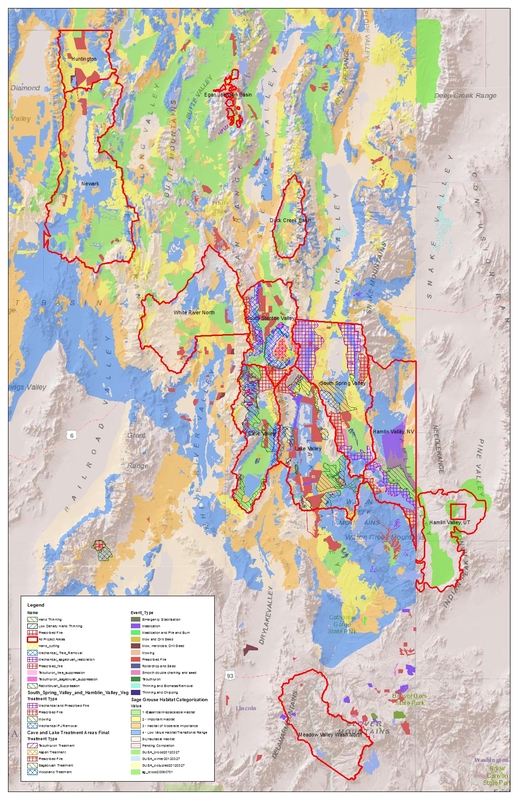 WWP is concerned that the Cave Valley and Lake Valley Watershed Restoration Plan will result in massive habitat degradation and an increase in cheatgrass and subsequent fires. The plan calls for use of sagebrush mowing, prescribed fire in pinyon/juniper forests, and the use of Tebuthiuron to inhibit regrowth of sagebrush and pinyon/junipers. On top of that, there are several more areas throughout the Ely District of the BLM that have been targeted for similar treatments. The cumulative effects of these treatments on top of other impacts were not adequately examined in the Environmental Assessment and the rationale for the treatments is tainted by bias against woody vegetation that the livestock industry doesn’t like. The “restoration” efforts never considered restoration of crested wheatgrass seedings, the BLM just target areas with native vegetation instead of vast areas that have been converted to non-native vegetation planted primarily for livestock forage. In fact, they go so far as to target sagebrush that has managed to reestablish itself in crested wheatgrass seedings. The Cave Valley and Lake Valley Watershed Restoration Plan is just one of many similar “restoration” projects that are slated to occur across a huge swath of the Ely District. There is one that has been approved, the South Steptoe Valley Watershed Restoration Project, and several that are in the scoping stage, South Spring Valley and Hamblin Valley Watershed Restoration Plan, Duck Creek Basin Hazardous Fuels Reduction and Habitat Improvement Project, Egan and Johnson Basin Restoration Project, and the Newark and Huntington Watersheds Implementation. These projects similarly cover large areas and, if there are unintended consequences – like the explosion of cheatgrass after the “treatments” seen with the LCP – then a huge part of the Ely District could be lost as sage grouse habitat. These heavy handed and ill conceived vegetation treatment projects have the potential to convert vast areas of native vegetation into cheatgrass wastelands that are of little to no use for wildlife. This isn’t habitat restoration, it is habitat destruction. Why was this monitored only now and not soon after and then periodically, after BLM agreed to restore the area for sage grouse? I expect BLM to lie and serve their cattle industry masters. If they had been caught right away betraying the agreed upon plan to do the right thing for native wildlife, they could have been forced to follow the plan. I just do not understand this failure to monitor compliance. Western Watersheds has been out monitoring the Ely District of the BLM from the start of the juniper treatment (supposedly to restore sage grouse habitat and other purposes). WWP has a reputation of suing the BLM time after time (and usually winning), but what do you do when they simply do not obey the law? It is hard to not draw the conclusion that the BLM is trying to destroy the sage grouse habitat rather than conserve it. It is too bad, in my opinion, that they cannot be sued for criminal, rather than for civil violations. Wild horse advocates are constantly battling BLM and the cattle ranchers. It seems we have a lot in common with WWP. What are your thoughts on the wild horse population? The gov recently paid for a study by the National Academy of Sciences which criticized BLM’s present management of wild horses, especially their brutal round-ups by helicopters (which break their own federal laws) and gave recommendations, basically managing them in the field with births control, which has been successful with herds on the east coast (I guess cattle ranchers aren’t involved, out of the equation). Just wondered what your thoughts were on the government’s holocaust on our majestic, beautiful wild horses, and surely, like the wolves, they contribute to biodiversity.